Melbourne-based Kokoda Property has acquired a residential development site in Brisbane's Newstead from Urban Construct for $18 million. 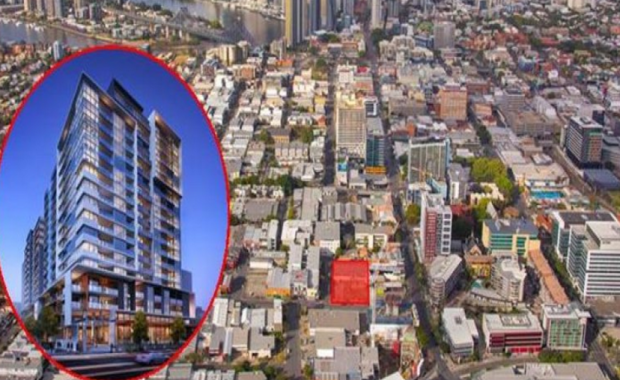 The 3,628 sqm site at 7 Chester and 14 Ella Street was sold with DA approval for two 18-storey towers containing 376 units and providing 49,639 sqm of area. Stage 1 consists of 182 units consisting of 133 x 1 bedroom, 46 x 2 bedroom, and 3 x 3 bedroom. Stage 2 comprises 194 units including 152 x 1 bedroom and 42 x 2 bedroom. The approval also provides a total of 383 car bays (including tandems) and 424 sqm of prime ground floor retail. The deal was negotiated by CBRE's Mike Walsh and Peter Court. Mr Walsh said the site was most aggressively pursued by interstate developers, particularly from Victoria, primarily due to these groups being outbid in their home market from an influx of off-shore capital. "The existing approval allowing speed to market and the ability to stage the project were the most compelling attributes of the opportunity when combined with the site’s location in the heart of one of Brisbane’s most sought after inner-city precinct," Mr Walsh said. Kokoda Property was founded by Mark Stevens and has more than 450 apartments under development across Melbourne. Kokada's director of sales Sam Tucker confirmed the transaction to the Australian Financial Review and said it was the company's first in Brisbane. "Our plan is to redevelop the current product mix that is planned for the property," Mr Tucker told the newspaper.